China scooped its 50th gold medal Thursday as it asserted its Asian Games dominance with multiple victories in wushu and rowing, where a Unified Korea team finished last. All six wushu finals in a packed morning session in Jakarta included martial artists from China. Four claimed gold in the sport made famous by Jet Li and Jackie Chan, derived from an ancient Chinese warrior code. On the rowing lake in co-host city Palembang, China were victorious in six of the eight morning medal races. 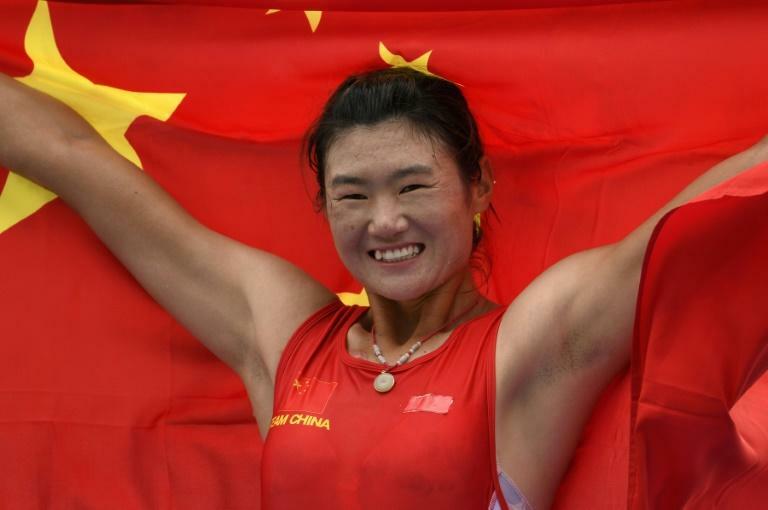 But the Olympic heavyweights were pipped by Uzbekistan in the men's double sculls, while Vietnam took its first Games gold in the lightweight women's quadruple sculls. A joint rowing team consisting of athletes from North and South Korea came in last in the lightweight men's four, finishing more than half-a-minute off the pace. Unified Korea teams will have two more chances at rowing glory Friday. Olympic swim champion Joseph Schooling battled through fatigue to top the heats for the 50 metres butterfly. The Singaporean, who defended his 100m butterfly title on Wednesday evening, said he managed less than five hours' sleep. "It was rough," he said. "But it's normal to feel tired. It just means you've got to grind through it. You've got to be a man, step it up and not complain." China's half-century of golds came just before noon on day five with Quan Xin's victory in the men's kayak final. Japan is currently second in the medal standings with 20 golds, ahead of South Korea on 11.